The Cabinet has approved Rs. 250 million to compensate farmers whose crops were affected by the ‘Sena’ caterpillar. Leader of the House, Minister Lakshman Kiriella told Parliament that Cabinet has taken a series of decisions to provide relief to farmers affected by the pest. He said President Maithripala Sirisena and Agriculture, Rural Economic Affairs, Livestock Development, Irrigation and Fisheries and Aquatic Resources Development Minister P. Harrison held a special discussion with officials on the matter after the Cabinet meeting. The minister was replying to a question by Opposition Leader Mahinda Rajapaksa who asked the measures taken by the Government to control the ‘Sena’ caterpillar epidemic. Opposition Leader Rajapaksa called for Government’s active intervention to control the pest. He requested that crop damages of the farmers be assessed for maximum possible compensation. He further requested to write off farmers’ debt of those whose harvest had been affected and give them an interim allowance until the next harvest season. He also proposed to provide those farmers seeds and fertilizer. Minister Harrison will answer the Opposition Leader’s question in Parliament today. 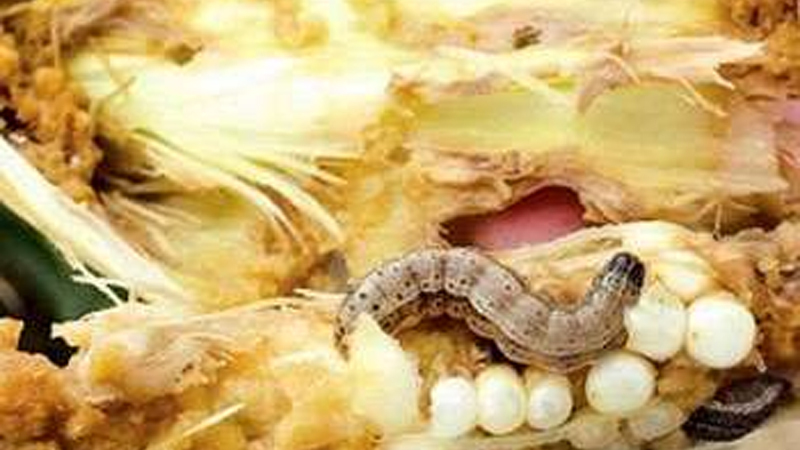 Joining in the discussion on the ‘Sena’ caterpillar Chief Opposition Whip and UPFA MP Mahinda Amaraweera drew the attention of the Government to include crop damages by Fall Armyworm to the agrarian insurance scheme in place for drought and floods. Amaraweera also requested a full-day debate on the matter, and the Leader of the House agreeing to it asked the UPFA to move it as an adjournment motion on Friday. UNP MP Chaminda Wijesiri expressed his doubts as to whether the fast spreading of the pest was a deliberate act of sabotage by some group to inconvenience the Government. He requested to investigate as to how the pest came to be spread. UPFA MP Shehan Semasinghe said there were claims that the pest came to the country with imported maize seeds last year.